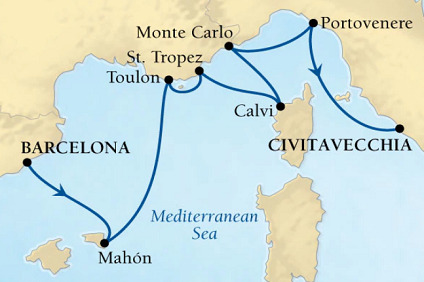 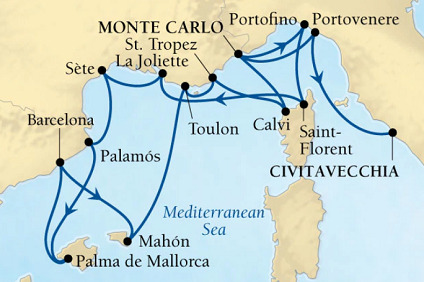 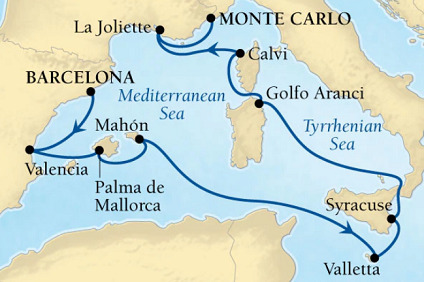 7 Night cruise sailing from Barcelona to Rome onboard Seabourn Odyssey. 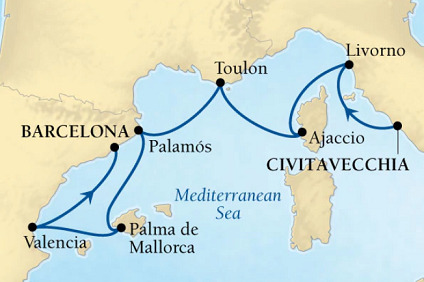 19 Night cruise sailing from Barcelona to Athens onboard Seabourn Odyssey. 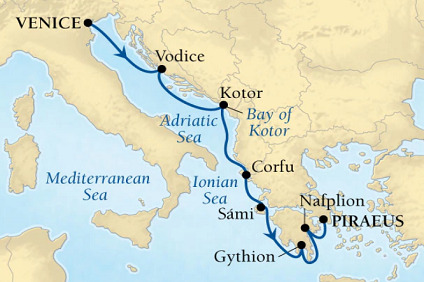 21 Night Cruise sailing from Venice to Athens aboard Seabourn Odyssey. 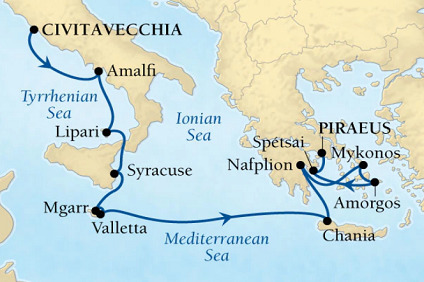 7 Night Cruise sailing from Venice to Athens aboard Seabourn Odyssey. 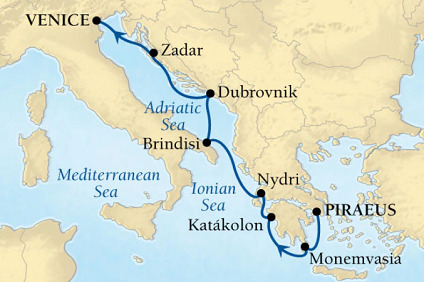 14 Night Cruise sailing roundtrip from Athens aboard Seabourn Odyssey. 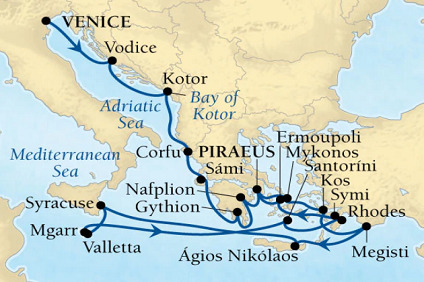 21 Night Cruise sailing from Athens to Venice aboard Seabourn Odyssey. 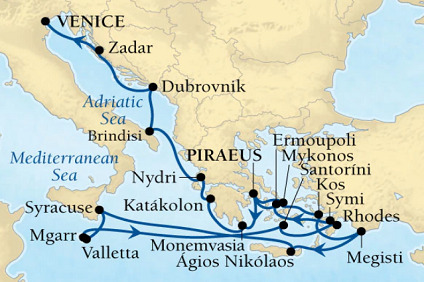 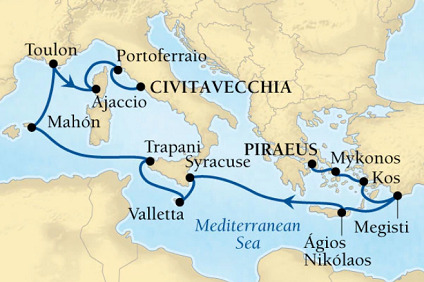 7 Night Cruise sailing from Athens to Venice aboard Seabourn Odyssey. 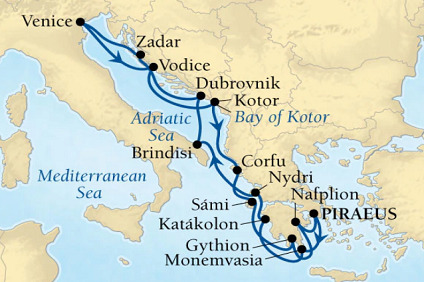 14 Night cruise sailing roundtrip from Athens onboard Seabourn Odyssey. 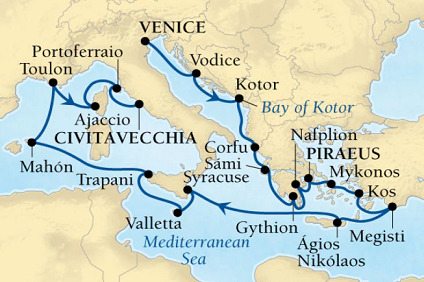 21 Night cruise sailing from Venice to Rome onboard Seabourn Odyssey. 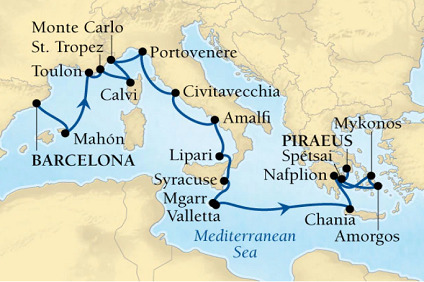 14 Night cruise sailing from Athens to Rome onboard Seabourn Odyssey. 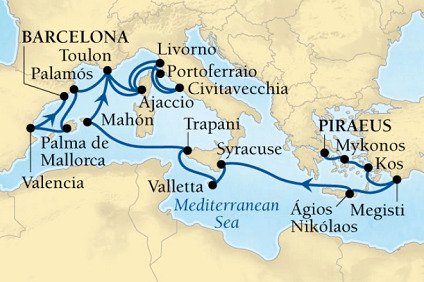 21 Night cruise sailing from Athens to Barcelona onboard Seabourn Odyssey. 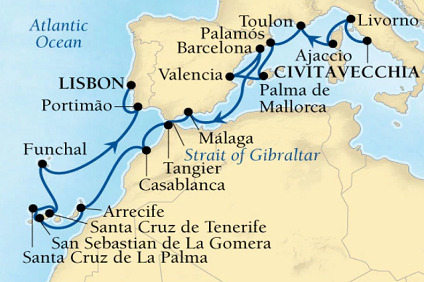 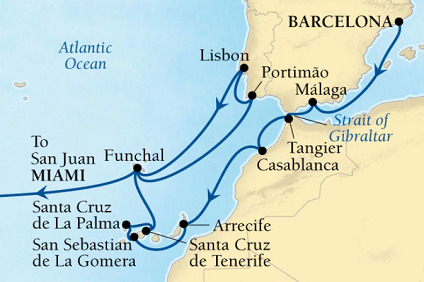 14 Night Cruise sailing from Barcelona to Lisbon aboard Seabourn Odyssey. 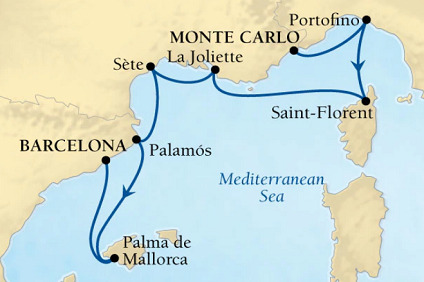 27 Night Cruise sailing from Barcelona to Miami aboard Seabourn Odyssey. 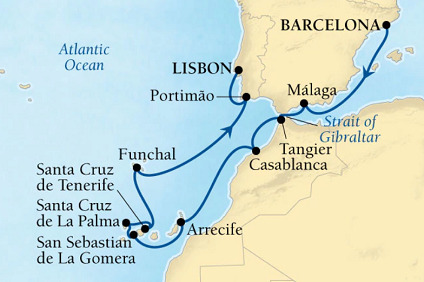 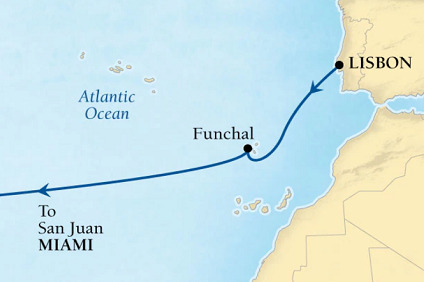 13 Night Cruise sailing from Lisbon to Miami aboard Seabourn Odyssey.